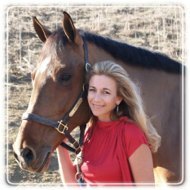 Newport Beach Therapist: Andrea Schoon - Therapist 92660. Send A Message To Andrea. I have been working with families, children, couples, individuals for over 22 years. As a wife of 23 years and mother of 4, I also understand first hand all of the challenges of keeping relationships healthy. I can help you get your life back on track and look forward to hearing from you. Anxiety and depression are the number one mental health disorders and are so debilitating to our lives. The good news is they ate totally treatable. You no longer have to suffer, I will help you rebalance and get back to enjoying your life again! Couples are facing so many challenges. Learning how to work as a team, learning how to positively communicate and understanding each others needs are critical. I can help guide you back to how you felt in the early stages of your relationship.